I’m a fan of historical fiction, as history was one of my favorite subjects in school. 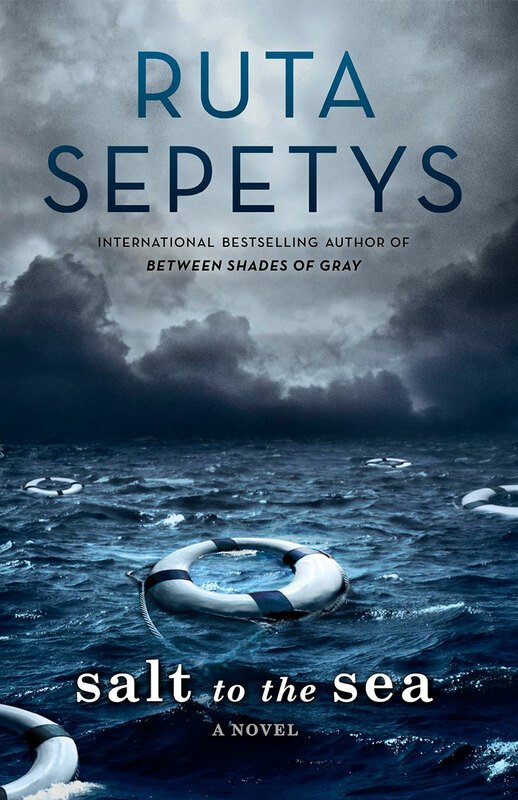 Ruta Sepetys’ Between Shades of Gray has been in my TBR pile for a while now, but I have not read it yet. When I heard about Ruta Sepetys’ latest work, Salt to the Sea, I was instantly curious. Like many others, I had not heard of the Wilhelm Gustloff disaster before (there’s a reason why it’s known as The Forgotten/Unknown Tragedy). Salt to the Sea is the story of how four teens—Joana, Florian, Emilia, and Alfred—come to board the Wilhelm Gustloff, one of the greatest and most unknown maritime tragedies. Each teen has his/her own story of how they got to the Wilhelm Gistloff. Joana is a Lithuanian refugee who was working as a doctor’s assistant before the war. She feels guilty over the fact that a letter she wrote was what sent her cousin off to a Siberian work camp (Between Shades of Gray). Now she’s traveling with a group, trying to save everyone she encounters, while on her way to meet up with her mother and to safety. Florian is a Prussian teenager who was working as an art restorationist until he uncovered the true motives behind his mentor. Now he’s on the run with the only key and map to the Amber Room and it’s greatest treasure, the amber swan. He runs into Emilia, who is a young pregnant Polish girl, and saves her from a Russian soldier. Emilia feels an instant connection to her “knight” and decides to stick with Florian much to his dismay. They run into Joana’s group and stick with them as they make their way to safety. The last perspective is of a German sailor aboard the Wilhelm Gistloff, Alfred, who wants to prove himself. Each chapter only consists of a few pages and switches off between the four main characters. At first I disliked like this layout, but as I got farther along in the book, I enjoyed the quickness that this format provided. Alfred’s storyline was the only one I did not enjoy and was disappointed when it was his POV’s turn. Most of the novel is about what led each of these characters to the Wilhelm Gistloff. They don’t even reach the Wilhelm Gistloff until a little over half what through the book. Due to this, most of the action doesn’t occur until about 75% of the way in. Overall, I liked Salt to the Sea and learning about a disaster I had not previously known about. The beginning is slow, but the ending makes up for it. I will definitely be reading Between Shades of Gray in the future. It saddens me how many of us didn’t know about this sinking! I’m glad you enjoyed reading it, too! I know! I definitely research more about this sinking after finishing the book, and I’m definitely surprised that is this such an unknown tragedy.